12 players generally means "split into three groups of four", unless you like party games, which many of us (at Friday night dinner) don't. But I still wanted something quick and slightly strategic to bond the group, so Pit is the natural choice. I usually play Pit with two standard decks of playing cards, but I had acquired the actual game at some point so I decided to use it. Unfortunately, the actual game only plays for up to seven, so that meant Team Pit: pairs of players divide the cards and then not only have to trade but periodically coordinate. It works fine. it worked fine. After that we played six-team Battlestar Galactica, a game I hadn't played yet (neither had half of the other people). My partner left before the game started, so it was 11 of us. Battlestar Galactica is a good game for those that like that sort of game. I don't like that sort of game, but I didn't hate playing. I thought it was ok. The other cooperative games I've played were Shadows Over Camelot (several times) and Pandemic (once). They were, also, both ok. It's a cooperative game with hidden traitors, where the traitors don't have to stay hidden long, unlike SoC where the traitor needs to stay unrevealed to cause the most havoc. It's also a dice rolling, card picking game. The danger of cooperative games with random elements where you "play against the board" is that it can feel like the game is playing you more than you're playing at all. And that's the way it felt here. It didn't feel like what we did mattered very much; if we drew nasty cards, we were going to lose. If we drew nice cards (or nasty cards that simply didn't apply to our particular situation), we were going to win. Whoopde do. In our game, we drew nice cards and sailed along, and then some nasty ones, finally, when the traitors started revealing (including me). By then it was 3 hours after the game started, we were nowhere near ending, and we decided in favor of the traitors. With ten other players deciding what to do on their turn, I fell asleep a few times. I had to wake up once in a while to toss in a skill card. For those of you who like random elements and dice rolling, and some theme and hidden traitors, you'll probably like the game, as you pray that certain cards are not drawn at just the wrong moments. Any framework, no matter how robust, enforces design limitations. Companies will produce APIs for game design, piece handling, board creation, and so on, but no matter how grandiose, a designer will always be stuck in the thinking that the framework provides. No one would have designed Mousetrap if games had to be on a flat board with pieces and cards. To be fair, a limited framework can actually be beneficial to game designers, up to a certain point. By narrowing those things that are possible, you eliminate the overwhelmingly empty space that paralyzes decision-making. Otherwise, like Powerpoint for presentations, every game begins to look the same. The magical thing about games and play is that you can change rules, or give handicaps, whenever you want. Start the game without a pawn, add an extra row of spaces, or combine two games with jumping jack interludes. The point is the fun, and you control what you want. A programmed game ensures that everyone, everywhere, plays by the same rules, which is great for worldwide competitions, but not great for creativity and spontaneity. Or for undoing a move. As we all should already know, when it comes to digital products, it's no longer clear who owns the product. It's easy to trade or sell games. You own them; no one can revoke their license or erase them from your machine, and they won't disappear if you upgrade the computer. Furthermore, you know that no one is tracking how many times you play, who wins, or what you do. With cardboard, the power, operating system, and so on can't crap out on you. They don't use electricity; in fact, every time I read a story about hurricanes or power outages, invariably it mentions families huddled together over candle light playing games. Battery life only lasts so long, and the same goes for compatible operating systems. You will probably save money in the long run if you buy many inexpensive games for your tablet, but the initial cost of owning a tablet is nothing to sneeze at. Cardboard and plastic are cheap. You can get a lot of games for $500, or even $100. And that doesn't include the cost of the games and hardware and software maintenance. Dexterity and skill games are not the same on a table, iPhone, or whatever, however prettily they simulate the effects. You can't gain marble-shooting skills without marbles. While gadgets are cool, so are tactile pieces that stand up on a board. 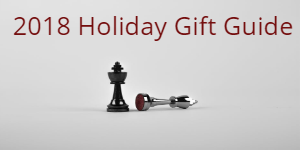 If you're going to spend $500, there are some awesome Chess sets that cost that much and are beautiful. And in two years, they'll still be worth $500 or more, whereas your virtual games won't be worth anything at all. One cardboard game is portable, but 1000 cardboard games are not. It's pretty cool to think of having the right game for any occasion in your game pocket. Infinite downloadability can be handy. Some of the best games take 6 hours to play simply because of the need to check charts, roll dice, calculate values, and so on. Figuring out all the paths on a board can take a lot of time; it would sure help if you could get the value of a route by hovering your mouse over your route. Furthermore, you don't have to worry about messing up the rules or forgetting all of your options. Complex games often play in about a quarter of the time on a computer. Of course, playing on a computer allows you to play with enhancements and features that you simply can't do offline. Terrain that changes, pieces with random abilities, timed effects, hidden properties, and so on. Essentially, board and computer game hybrids. That's the cool stuff we've all seen in the promo videos. Getting a cardboard game to market is painstaking, time-consuming, and costly. You can spend upwards of $50,000 on print runs, and then still have to negotiate with distributors, retailers, artists, marketers, and so on. Not all of these costs will disappear, but the Internet is famously a low barrier to game creation and distribution, which should equal a whole lot more designs making it to the public (and a whole lot of crap to sift through to find the good ones). Better yet, a game with a flaw can easily be patched. As already proven, while nothing beats face-to-face gaming, it's nice to have the option of including remote players in a game session. A tablet game, reproducing the board in multiple locations, should make this possible. When you have 15 minutes to play, you're generally stuck with 15 minute games in the cardboard world. A tablet makes it easy to fold a game up to save for later. Detailed personal record keeping is automated on computer assisted games. Keeping records is not only an affectation, but an important element in thinking about how you "play against yourself" over time, rather than win or lose each game independently. And, on the flip side of what I listed as a drawback for tablet games, when everyone plays by the same rules, worldwide record keeping, comparisons, and tournaments are possible, and you don't all have to travel to the same place to have them. Session Report, in which we try Steam, and actually we all try out new games. The latest Jerusalem Strategy Gaming Club session report is up. Games played: Homesteaders, Robo Rally, R-Eco, Steam, Cuba. I review Steam, and we all try out new games. Ten years ago, hordes of game geeks left the CCG scene because it was "cardboard crack": it sucked away tons of time and money all to get the latest fix. The hordes turned instead to board games. Nice, simple, replayable, buy-once-and-it's-yours board games. These same hordes spent the last ten year spending even more time and money to get the latest board games. Every year, they bought dozens of games, played them twice, once, or not at all, and then anticipated the next game and the next purchase. The amount of time and money they spent over the last ten years on an endless series of newer board games probably equaled or exceeded what they would have spent on CCGs during this same period. The question is: who had more fun? Those that continued to play CCGs all decade, or those that denounced them as cardboard crack and went on to spend their time playing that endless series of board games? The constant need to buy what is anticipated as later and greater is called "the cult of the new". The best ten games of 2009 are not really better than the best ten games of 2000. For those that bought the best best games every year, the enjoyment came from the anticipation, the acquisition, and the new experience of each game, not from the solidity of the game itself. Familiar games, like familiar songs, electronics, or movies, may be nice, but they're familiar. Of course, someone has to buy, play, and review the games for the rest of us to know which of those games are most likely to be the ones we'll want to replay. When do you - non-journalist - stop looking at what you don't have and enjoy what you have? If the answer is never, at least stop looking down on others who enjoy the same thing you do. Thursday evening I roped one of Tal's friends into trying out Dominion. Tal had played once before, and her friend had played Magic once upon a time. They were looking bored, and it looked like the perfect pitch opportunity. It was. We played with only the basic set, and I won easily. Then I heard from Tal this evening, while talking to her while she was on the phone at the friends house, how much he loved the game. I think there may be an immanent purchase. Friday evening I had several guests over for dinner. After we ate some of them, the ones that were left were Nadine, Bill, and Shirley from the game group, Ksenia, a visiting Polish student, and Natalie, a visiting German student. I'd roped Ksenia into a few games so far, and Natalie claimed that she always won at The Settlers of Catan. I needed a meaty - but not too long - game for six players. Over Nadine's initial objections, I picked Antike. First play for Natalie, Shirley, and Ksenia. We played from around 11:15 until 1:30 (I knocked the required number of cities down one from what was suggested, as usual, to a mere six) and it was a fantastic game; even Nadine ended up enjoying the experience. It was our first six-player game, and the first time that the "5 cities" cards ran out, which dramatically changed the strategies. We played on the Arabian board. I had fleets sailing around Greece. Bill and Shirley bumped around each other around Saudi Arabia, and Nadine played cautiously in the middle out of Israel. Ksenia had the southeast corner in Africa, and Natalie the southwest corner in Asia. We only needed six points. Nadine race ahead furthest to five points, but then got stuck. I wiped out her fleets and Ksenia took out all but three of her cities. Even after doing that, she still had a good chance of winning the last point, as was gaining a coin every round and had two gold producing cities remaining, which gave her the chance to get the bonus point at the bottom of the Know-How tracks. Bill built a few temples on the sea, so I wiped out all of his fleets, in the hopes of getting to conquer them. I got one, and gained my fifth point. I was one round away from winning myself before Natalie won; well, actually Ksenia wiped out my second temple, so I couldn't get my third temple right away anymore, which put me back to two rounds from winning (build ships, attack Bill's other temple). Natalie managed to avoid nearly all confrontations, and she never attacked anyone. All in all, a fun, fine, and close game. The genius is that it is not the conquest, but the points you need to win. So when you lose things, like cities and ships, you adjust your strategy to another path to victory; you don't lose points. I highly recommend the game as a better alternative to Risk. The latest Jerusalem Strategy Gaming Club session report is up. Games played: Endeavor, Robber Knights. First play for both games, and I review them both. Power Grid: Factory Manager is the latest game from Friedman Friess, a green-haired, goofy, and goofy-looking guy who creates really good board games. Most of his games have two "F"s in their German name, and most of his box covers have a substantial amount of green in them, like his hair. FM is in the same "world" as Power Grid, his most successful game, although its mechanics have little to do with PG. The artwork and detailing are the same, and there is a plant market with lower valued plants available before higher valued ones. But that's where the similarity ends. No route connections, no buying fuel, no running out the fuel supply, and no auto-balancing mechanism for "last place". Instead, you have a factory with 14 spaces for machines, 9 workers, and money. Each machine adds or reduces to the energy your factory requires to run, adds or reduces the workers your factory requires to run, or adds to the amount you produce or the amount you can store. Two spaces are allocated to certain types of machines, leaving 12 for your general machines, robots, and storage equipment. And 2 of those 10 spaces cost money to build (like Bohnanza, once you build them, they stick around and you don't have to pay for them again). Your income at the end of each round is the lesser of your production and storage values x 10, minus your energy cost x the price of energy, which rises sporadically over the game's five turns. It starts at an insignificant 1, but could reach 8 by turn five, in theory. You have available to you each turn the number of workers that are not busy operating your machines. You bid with these workers for turn order: lower turn order means first crack at plants, but less monetary reduction of the plants' costs. Then, in turn order, you drop as many plants from the supply stacks into the market as you have workers (less the ones you used to bid), and each other player does the same, with the last player able to optionally add a few more plants if he or she wants (not in a two-player game). Then, in turn order, you buy whatever plants you can afford from the market, but no more than one plant per space you have available in your factory, and no more than the number of workers you didn't use for bidding. If you have no space left in your factory, you can clear away a location at the cost of another worker. First player does all of his buying before second player, and so on, and so - barring lack of money - buys all the good plants. Last player generally gets crap to choose from, and pays much less for it. After all this, you get all of your workers back, reassign as many as you need to run your plants, leaving you with however many are left. You can also buy up to two additional workers at 7 bucks each, which can be used as regular workers for all things. They go away in the next round at this same point, though you can then buy them again. Any items in the market go back on top of the supply stacks. This means that crap buildings that even the last player didn't want get put back onto the stack and are the first ones out of the gate again on the next round. Power Grid had a mechanism of getting rid of these wastes of space, but Factory Manager leaves these in, apparently deliberately. I'm not sure why. I think PG's idea was better. I found this annoying in FM, but perhaps it's not such a problem in a four or five player game. I will have to see. You then collect income. The game is limited to five rounds, which is somewhat surprising for this type of game, but seems to be about right. The winner is the one with the most money. In our game, I had the most money at the end of turn four, and couldn't do anything useful in turn five, so I did nothing and saved my money. Nadine did tons of stuff in turn five, shooting ahead in every area, but costing her a lot of money. As a result, even though income is doubled in turn five, I was still far ahead at the end. It's a lot of juggling numbers. Add this and that and that, subtract this and that and that, factor in the money and workers required. Unlike PG, it didn't provide much tension as a two-player game, but that may be because we didn't know to block each other for turn order enough. Going first in the turn order is a huge advantage, but only if you have enough workers to do something with it. I suspect that multi-player is where the game shines. 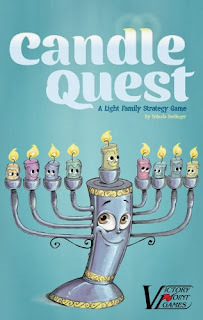 The latest Jerusalem Strategy Gaming Club session report is up. Games played: Dominion/Intrigue/Seaside x 2, Homesteaders, Le Havre, Tribune, Saikoro, Bridge x 2. I finally get to play Homesteaders and I love it. Binyamin plays Le Havre, and David plays Tribune, and they don't love them. But others do. And I still love Saikoro, too. I'm off to see Tal in Another Antigone tonight, the latest JEST production. It's cool that JEST is trying out plays that are not simply the same stuff rehashed from year to year. However, I think it's hurting their box office as a result: the masses would prefer to see yet another production of Annie rather than take a chance on a play by a well-respected but modern playwrite. I got twenty new games during my last trip to the US (returned Nov 30), and I've only played five of them so far. And I want to play those five many more times. Some people "work through" their game list, then throw the new games onto the shelf and play the next new games. I'm not like that. I like playing new games, but I also like to play good games many times. Unfortunately, after playing some "good" games several times, you realize that the game is flawed, or that it is solvable, or that it is "played out" (sometimes the latter is true only if you play with the same group each time). Hence why I also got rid of twenty games on my last trip to the US. So for the first time in a while, I really don't need any new games round here. But a few weeks ago I won games worth up to $50 from a holiday Sophistigames contest. Damn. Now I have to buy more games. This time, I'll be visiting her in about six weeks, which is somewhat better than last time. I'll be away from Israel US Feb 18 to Mar 16, leaving me only two weeks until Pesach after I return. So cleaning will have to start already. I'm already starting to look at what chometz I have to use up. I'll be in Oxford, OH again for the first two weeks so I'll try again to hit game nights in Oxford, Cincinnati, and this time also Columbus. The third week I may be in Chicago or New York, and the last weekend and few days in the New York area. On Sunday night, March 14, I'll be attending my high school's 25th reunion. Why? A good question, considering that I hated roughly 1/3 of the kids in my high school class, was indifferent to another 3/5, and only liked the remaining five people. The ones I hated made life so awful that I get upset thinking about them to this day. I think that I hope to find that some of these people are now decent people; I anticipate this having a therapeutic effect on me, somehow. If they're still horrible people, I will at least be able to face them now with the proper self-assurance, scorn, and pity that they deserved then, which may also be therapeutic. I actually look forward to meeting the ones I was indifferent to, though they may not realize how much of a coup this is for me. For example, while they were discussing where to arrange this reunion, one of them suggested "reliving that great pool party" they had at the end of high school, a party about which I was not invited to, or even knew about until now. Today, all the ones I've communicated with online now seem to be nice people, who won't mind that I'm (still) a geek. I lent Trias to my neighbor's kids who were looking for something they haven't already played for four players and not too hard to learn (they've already played Settlers, T&E, and Carcassonne, and I thought Dominion would be hard to learn on ones own). The latest Jerusalem Strategy Gaming Club session report is up. Games played: Tribune, Dominion/Intrigue/Seaside, Dvonn, Phoenicia. Ben came after a long hiatus, and I got to play more Dominion and also Dvonn again. Good games played. My blog(s) are receiving only light attention as I'm working some work projects as well as a behind-the-scenes game industry project. The latest Jerusalem Strategy Gaming Club session report is up. Games played: Jamaica x 2, Stone Age, Race for the Galaxy: The Gathering Storm. I had a wedding, so Abraham hosted and reported the session. Also last week, I played two games of Puerto Rico with Rachel, and won both of them. They were each close, though the second one was decided fairly early on. I also played a game of Gin Rummy with Tal, which she won. I won the first hand, and then she toasted me on several hands with some well-timed knocks and a Gin.